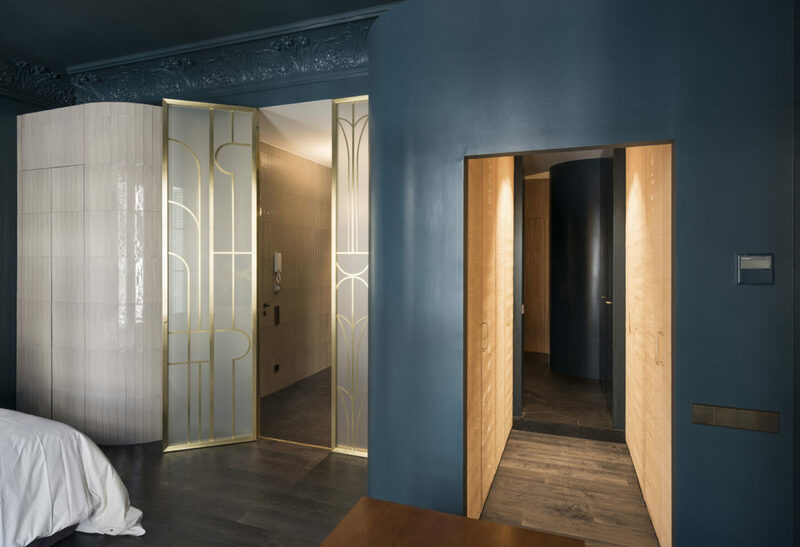 Completely renovated by the architect Georg Kayser of Kayserstudio, Eixample is an elegant apartment with garden located in the Poublenou district of Barcelona. The refined contemporary interior design establishes a harmonious dialogue with the neighborhood, a former industrial zone that has become a creative district. The name, which in Catalan means ‘widening,’ links back to the project of the urban planner Cerdà in the 19th century, which proposed merging Barcelona with the neighboring towns. An Art Deco influence can be seen in the style of the interiors, with a marked use of vast curving forms, mainly in the opaline glass doors and the reflecting surfaces. A modern design with a timeless aesthetic, emphasized by the juxtaposition with furnishings of particular elegance, made to measure. 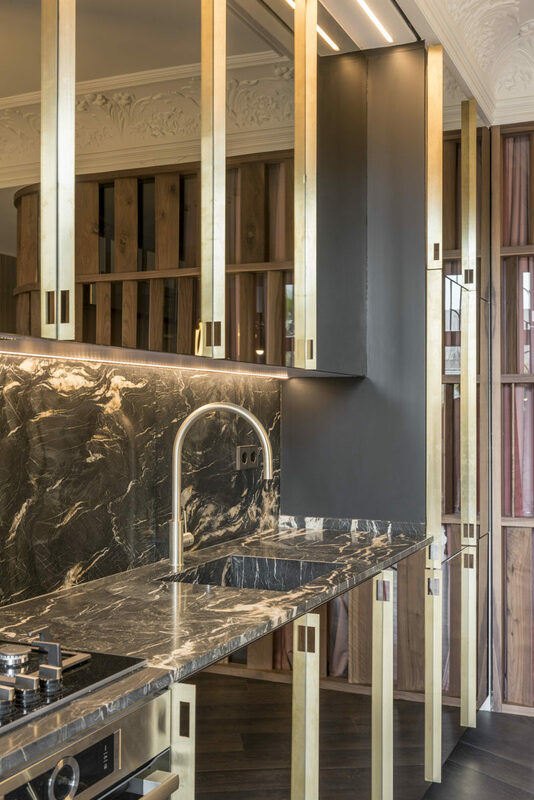 Maniacal care has gone into the choice of materials and finishes: amidst powder tones, the precious impact of marble is combined with reflecting surfaces that amplify perception of the space and multiply the luminous highlights of the metal accessories. A decisive change of tone happens mainly in the bath environment which seems to transform into an oasis of peace: games of light leave the space in total twilight, in which the glow and minimal design of Cea faucets stand out, in the sophisticated special Light Gold satin finish.